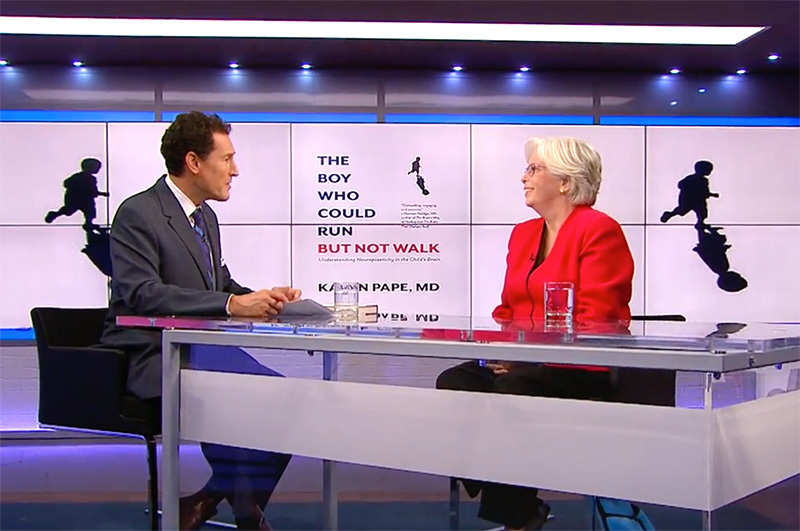 Steve Paikin of TVO in Toronto recently interviewed me about The Boy Who Could Run But Not Walk. I appreciated this opportunity to talk about the revolutionary concept of Habit Hides Recovery, but I was also able to explore some of the resistance to change in the neurorehabilitation world. This topic is very dear to my heart. I wrote my book, in part, to arm parents with the scientific knowledge they need to help break down resistance and better advocate for their children. Unfortunately, most of my colleagues in the neurorehabilitation world are comfortable with the established care of children with cerebral palsy, starting at age 4 to 6 years and continuing up to the early teen years. The problem with this approach is that it is based on an outdated understanding of baby brain neuroplasticity. There are 2 peak periods of neuroplasticity in children – Birth to 4-6 years and during puberty. Most of our current treatment protocols completely miss these peak opportunities for change. Yet, in spite of all the evidence to the contrary, the dominant belief in many areas of neurorehabilitation is that it is too late to change for the growing teenager. All across North America most teens are discharged from active therapy at this age because their progress has plateaued. Here is a radical thought. It is time to assign the failure to progress to a treatment failure…NOT evidence that it is too late to change. Continuing to do more of the same harder and expecting a different outcome has been called the definition of insanity. We know that long-term follow-up studies of standard therapy confirm that children with CP over the age of 6-8 years either stay the same or get worse as they mature. This is not an acceptable outcome. I believe that the time is NOW for parents, innovative therapists and progressive doctors and surgeons to work together for change. Feel free to download any of my blogs to share, or better yet, get your favorite doctor and/or therapist a copy of my book. Getting our collective knowledge base on an even footing is step one. As ever your comments and questions are welcome. Sarah McIntyre et al, “Cerebral palsy-don’t delay”, Developmental Disabilities Research Reviews, 17 (2011): 114–129.